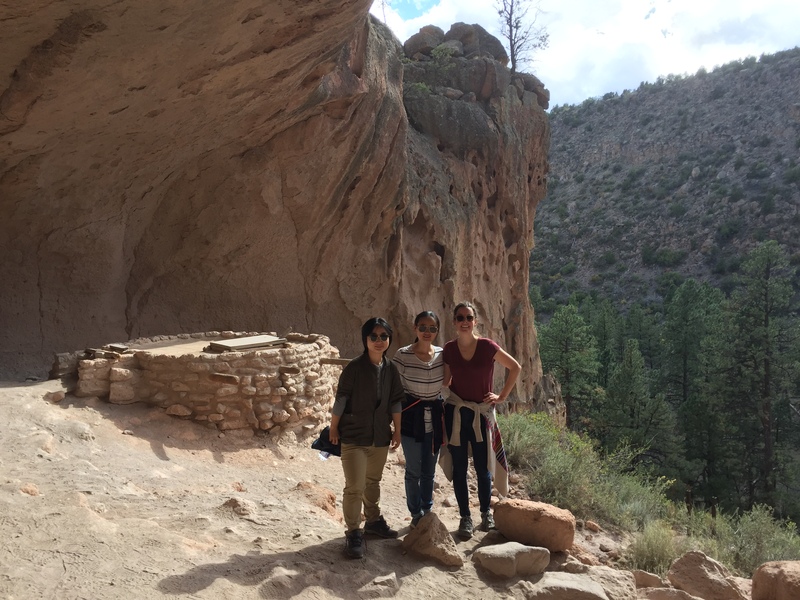 We have had an unusually busy spring term—even by our own usually busy standards. 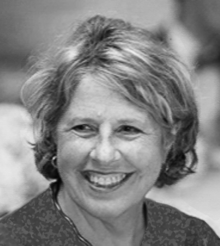 Our Senior Visiting Research Fellow, Professor Suzanne Blier from Harvard University, not only delivered a stimulating public lecture at the Dallas Museum of Art on newly identified sources for Picasso’s Les Demoiselles d’Avignon, but also has guided seminar students through the technological marvels of Harvard’s WorldMap project. She has even proposed a long-term relationship between Harvard and UT Dallas on this latter project. We also held major public lectures by three distinguished art historians: Dr. Abigail Solomon-Godeau, the historian of photography; Dr. Yve-Alain Bois, art historian at the Institute of Advanced Study in Princeton; and Dr. Thomas Gaehtgens, the recently retired Director of the Getty Research Institute. 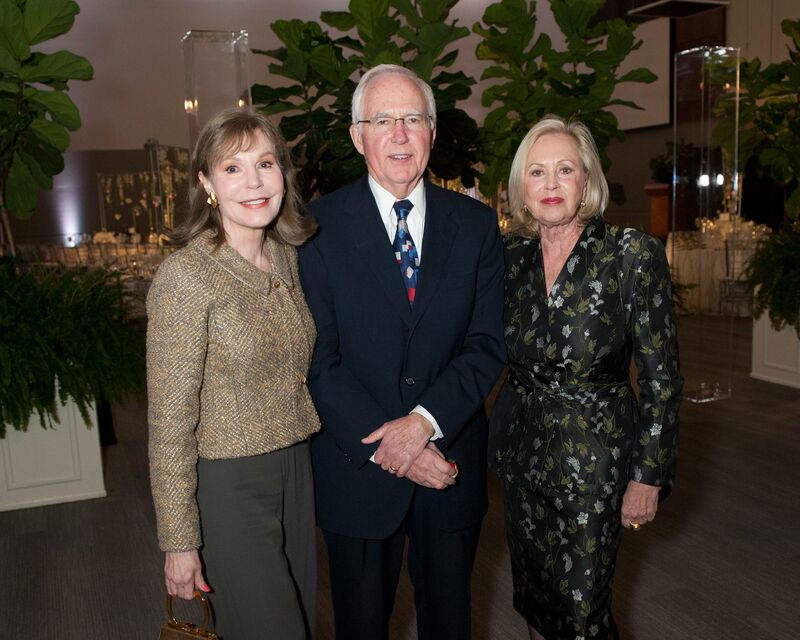 Two of the lectures were held at our partner institution, the Dallas Museum of Art. Another important partner of EODIAH is our sister institution in California, the Getty Research Institute, the largest and wealthiest art history research center in the world. Its Director, German-born Dr. Thomas Gaehtgens, has been so impressed by our progress at the O’Donnell Institute that he brought his National Advisory Council and key staff members to visit us in Dallas, starting their trip at UT Dallas to the Institute’s headquarters and learn about our plans for the future. With their blessing, we are sure to head in the right direction. 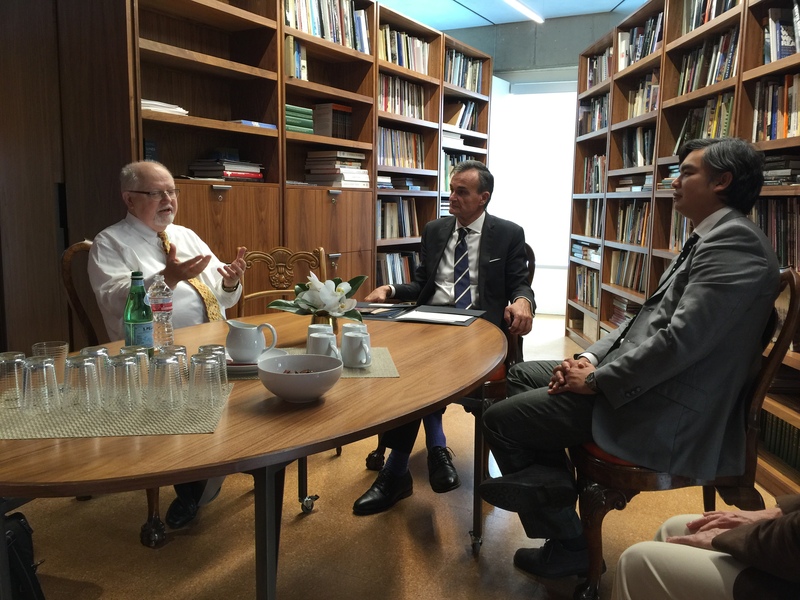 Our two international partnerships in Naples and Nanjing are humming along. Dr. Kozlowski will soon be able to announce the names of the first group of research residents at our new center in Naples, and in this newsletter I will report on the extraordinary series of research trips arranged for Drs. 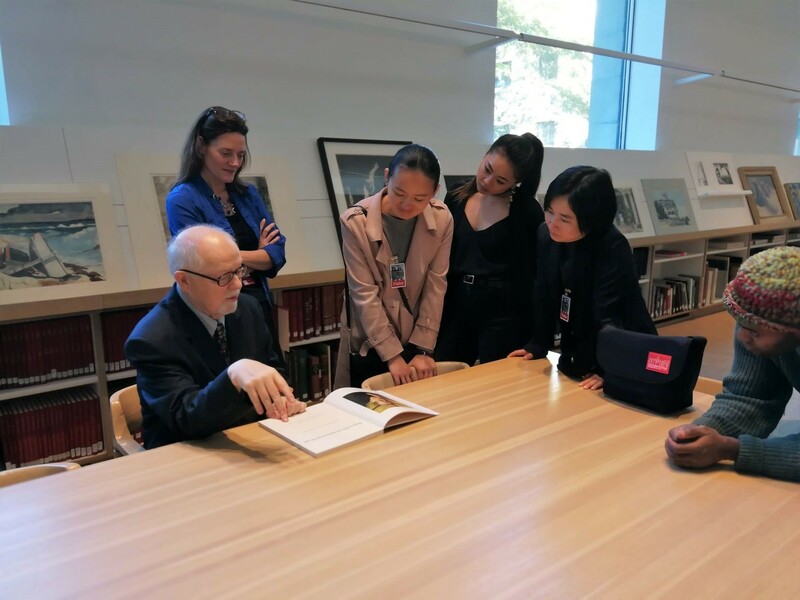 GAO Xin and LIU Yi, our two Visiting Research Fellows from Nanjing University, organized with real aplomb by Lauren LaRocca with the collaboration of our Amon Carter Museum partners. 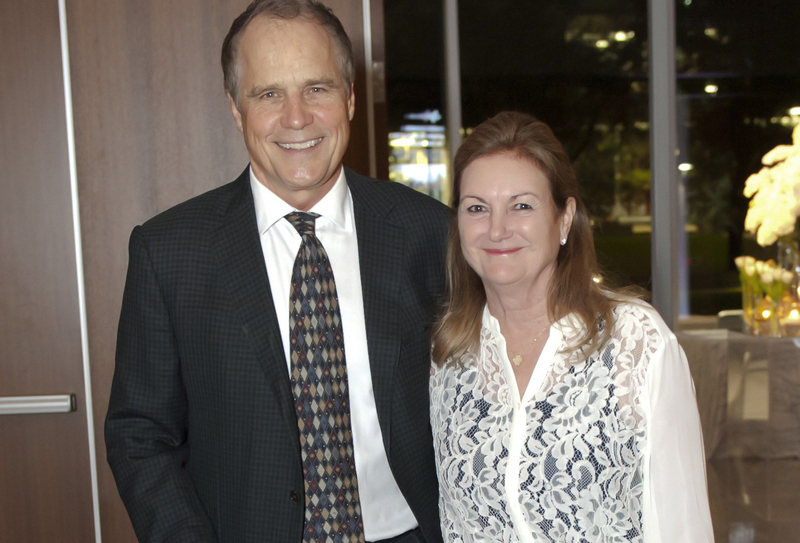 My news is that my wife Carol and I, after nearly half a century in academic life, have each been granted a one-year leave from our respective universities and will be away from UT Dallas for the academic year 2018-2019. Dr. Sarah Kozlowski will serve as Acting Director of the Institute. 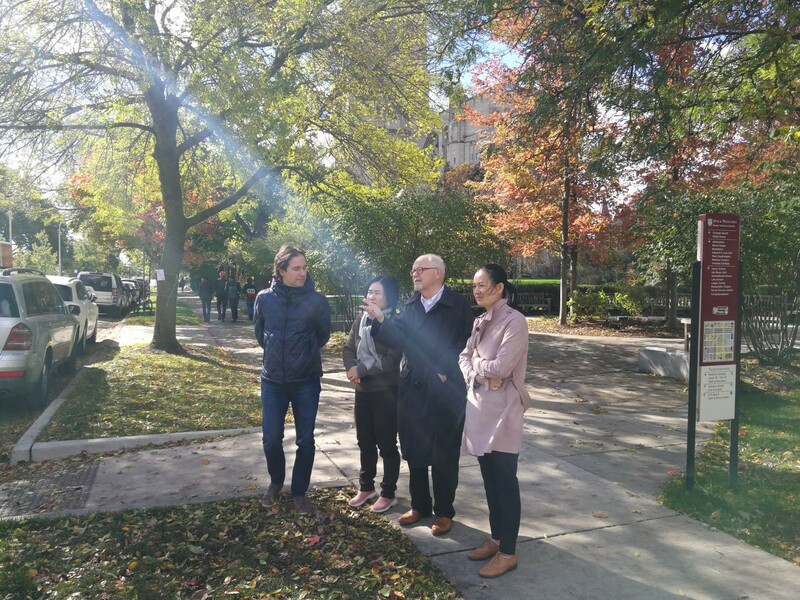 Dr. Max Schich, our large-data art historian who is returning to Dallas after a leave of absence in Munich, will be Acting Assistant Director and will be in charge of our Nanjing University partnership. 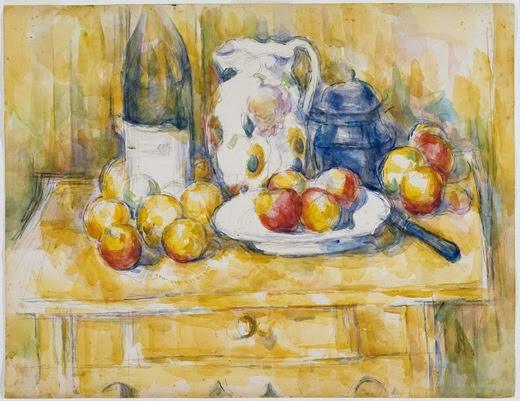 While on leave, I will concentrate on the completion of my longest-term research project, the Catalogue Raisonné of the Paintings of Paul Gauguin, which will be published by the Wildenstein-Plattner Institute. I will be ably assisted by one of our own, Dr. Elpida Vouitsis, who completed her Ph.D. in Art History in 2016 and who will work with me as a Senior Research Associate. 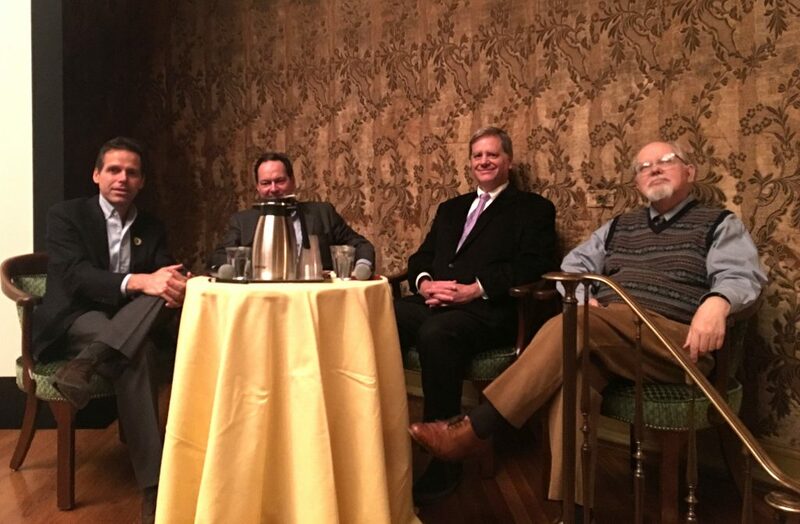 Of course, I will make myself readily available to my colleagues for Wallace Athenaeum matters as needed. The Institute’s library consultant, Mr. Milan Hughston, recently retired Director of Libraries and Archives at the Museum of Modern Art, has been negotiating a formal memorandum of understanding between UT Dallas and the Wildenstein-Plattner Institute in New York, Paris, and Berlin, for the digitization gift of the entire Paris-based art library to UT Dallas. It too will be housed in its own named building and form part of the Wallace Athenaeum. After more than a year of planning and meeting, the team of consultants hired by the Institute to envision and program an Athenaeum for UT Dallas concluded their work in March. Members included Peter Walker, the University’s landscape architect; Gary Cunningham, the architect of the O’Donnell Institute’s UT Dallas headquarters and our architectural consultant; Ginger Geyer, an Austin-based artist who has worked extensively in fine arts programming including at the DMA; Milan Hughston, retired Director of Libraries and Archives at the Museum of Modern Art, who served as library consultant; Dr. Anne Balsamo, Dean of the School of Arts, Technology, and Emerging Communication at UT Dallas, as our technology consultant; Lucy Buchanan, as the Institute’s Director of Development; and EODIAH Distinguished Scholar in Residence Bonnie Pitman as our museum consultant. As the chair of the committee for its many meetings in Massachusetts, Austin, New York, and Dallas, I can say that we have completed our work and have planned an ambitious complex of buildings for UT Dallas, the first phase of which will include the Wildenstein-Plattner Library (with other private libraries), and a building to house all the public and scholarly activities of the Wallace Athenaeum. This process of careful team-based planning is unusual in any university, but to my mind it was essential to programming a building that will be completely new to American campus life. The only functioning Athenaeum at any American university is the Athenaeum at Caltech, founded in 1929 and now used as a faculty club and event center. The very first public presentation of the Athenaeum occurred at “the mother ship,” The University of Texas at Austin, in a fascinating conference organized around the idea of the destruction of archives, books, and thus history. Attended by a wide cross section of faculty and students, particularly art historians, the symposium was the direct result of the evisceration of the Fine Arts Library at UT Austin by the College of Fine Arts’ own Dean. The faculty and students were impressed by the efforts of a science and technology university to put the arts–and related libraries—at the very center of its campus. At the very beginning of the Edith O’Donnell Institute of Art History nearly four years ago, Dallas’ most important documentary photographer, Carolyn Brown, indicated that she would like to make the Institute a major bequest: the photographs, negatives, and digital rights for her fifty-year career as a documentary photographer in the Middle East, Latin America, and Texas. For two years, she has worked with our own Lauren LaRocca to select from her body of work a comprehensive group for digitization on a state-of-the-art Hasselblad digital scanner acquired for her use by the Institute. 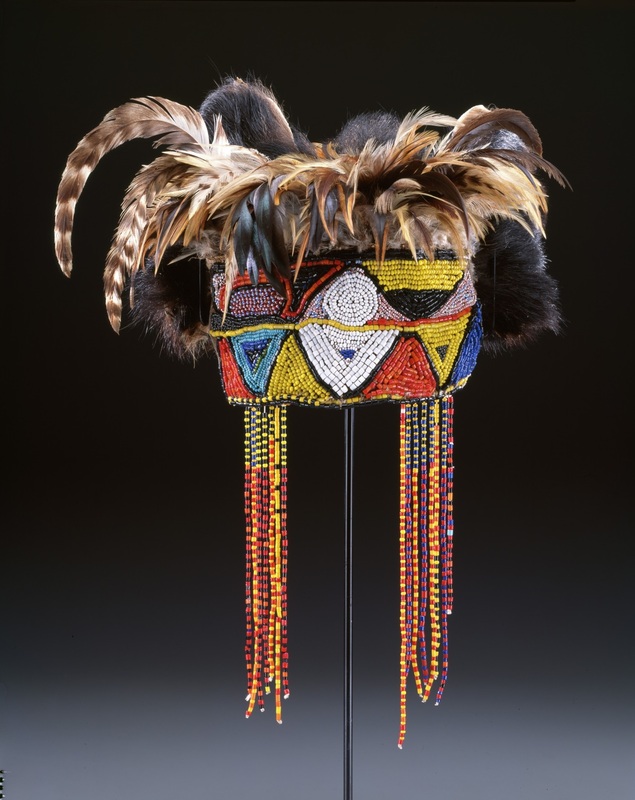 This process has yielded work for three exhibitions at the Institute’s DMA space and others throughout the state. 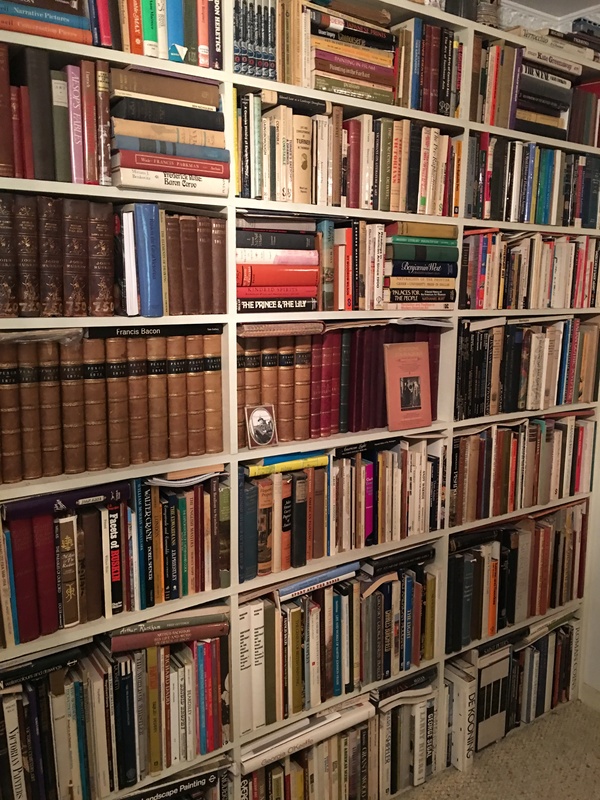 Carolyn has also identified works of art and decorative art from the Middle East and Mexico in her personal collection, which she will bequeath to the Institute for the use of our students and for the enlivening of our seminar rooms and offices. My own collaboration with Carolyn began almost two decades ago, and her bequest will give us the basis for an important collection of digitized images and prints that poetically record major ancient Roman, Islamic, pre-Hispanic, and viceregal sites in the Middle East and Mexico, as well as important series of photographs of Fair Park, Texas A&M, South Creek Ranch, the abandoned slaughter houses of northern Fort Worth, Lake Caddo, and other major architectural and natural sites. 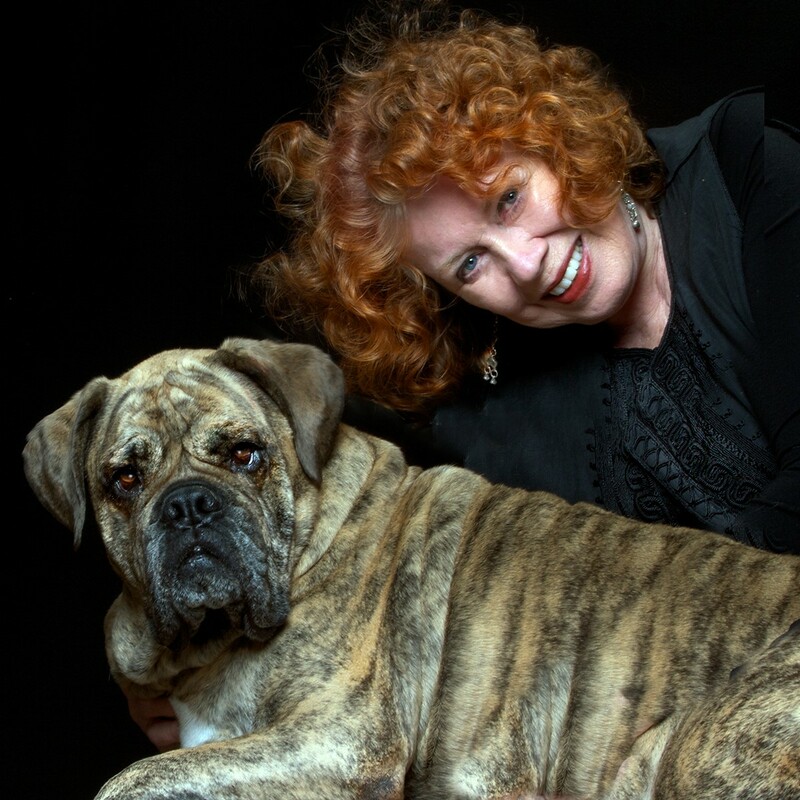 We celebrate her in this issue and thank her for her profound generosity. 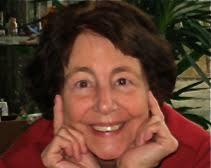 Below, she describes her career and the gift in her own words. In 2016 I made the decision to will my extensive archive of still photography to the Edith O’Donnell Institute of Art History. The archive comprises roughly 75,000 photographs (transparencies, digital scans, digital photographs, and prints) of architectural sites in the Middle East, Mexico and Central America, Dallas (including Fair Park), and the campus of Texas A&M University, College Station. In collaboration with the O’Donnell Institute, we are currently organizing and digitizing the archive, and over time will make the archive accessible through an online research portal. 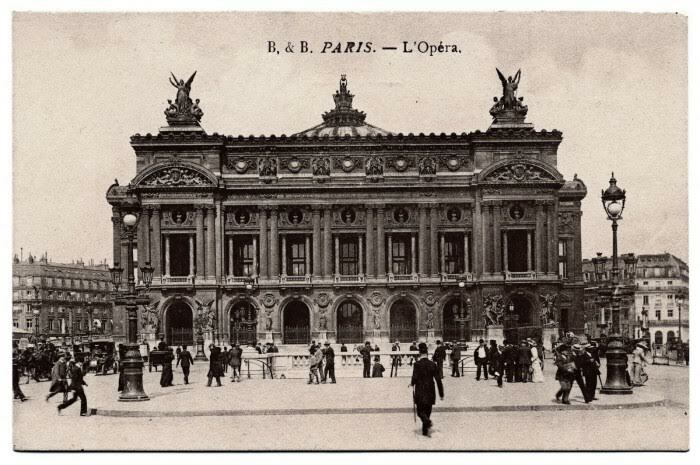 While old photographers finally pass on, their photographs can live on for hundreds of years. 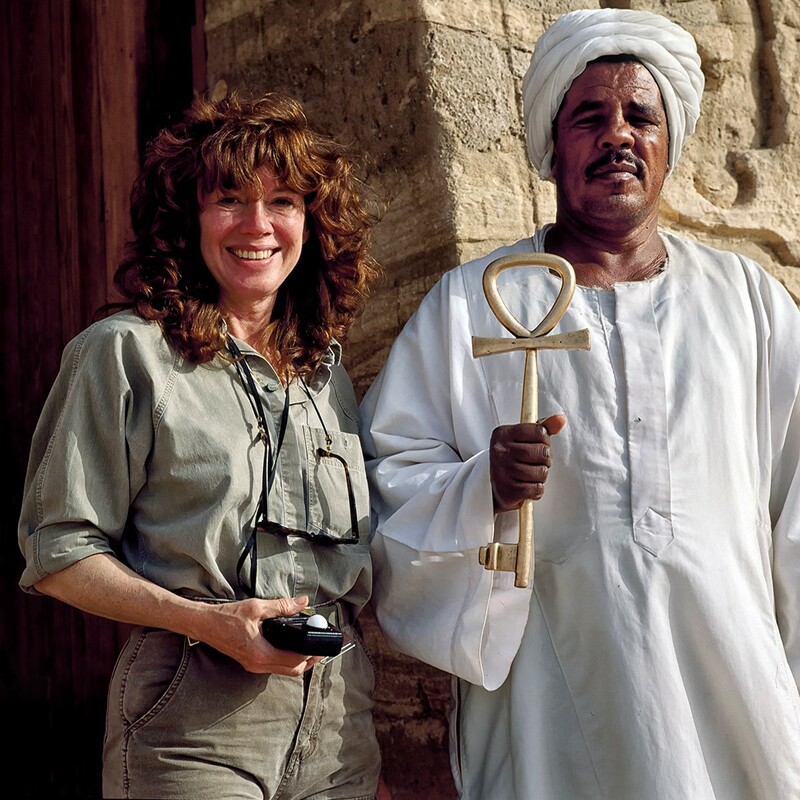 My journey with photography began in 1969 when I lived in Cairo, Egypt for three years to study Islamic Art and Architecture at Cairo American University. We made weekly group field trips to ancient Fatimid and Mameluke mosques. I bought a Nikon 35mm camera to document each site, and discovered the thrill of photographing ancient buildings—a beginning of what would became not only a livelihood, but an obsession. Many of these early photographs were hand-held slide images of Egyptians at the pyramids, colorful markets, religious feasts, and along busy streets among the remnants of ancient Cairo. 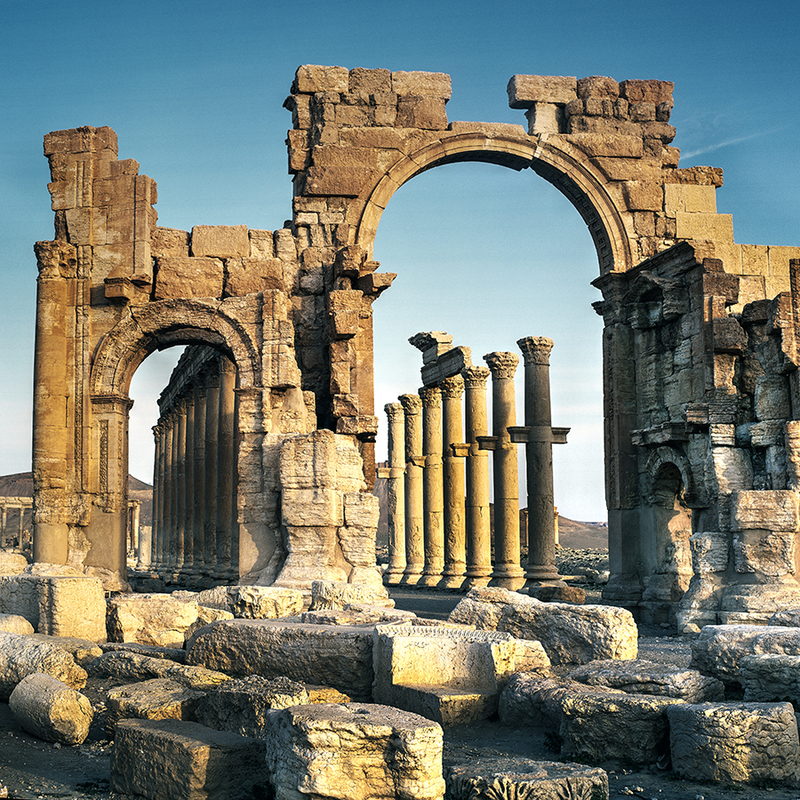 After returning to the United States, I honed my skills, invested in high-end equipment and worked commercially as an architectural photographer–often returning to my beloved Middle East with my medium format Hasselblad to build a large image collection of some of the world’s most historic ancient sites. Over a period of fifteen years I travelled and photographed throughout Egypt, Syria, Lebanon, Jordan, Palestine, Israel, Iraq, Yemen and Turkey. 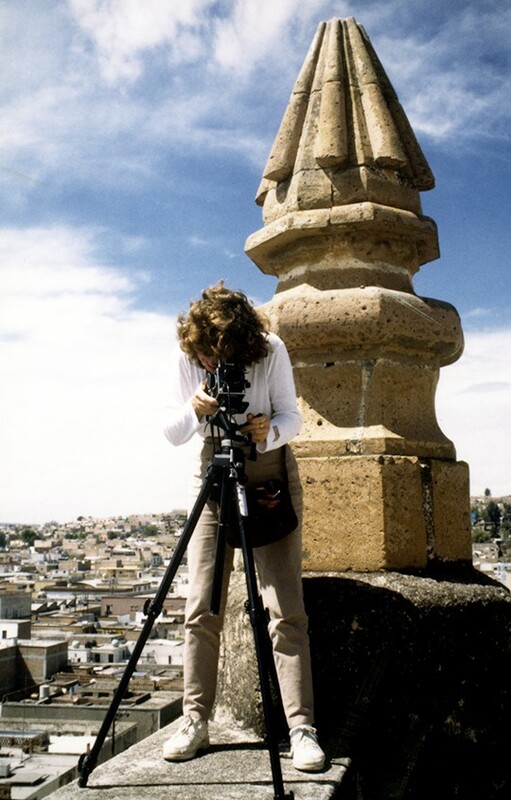 As the Middle East archive grew, in 1991 I began to photograph pre-Hispanic archaeological sites, viceregal churches, and natural landscapes in Mexico. Within ten years I had documented locations in more than twenty Mexican states, and throughout Guatemala. I began photographing church exteriors in bright sun for full color and sharpness. Then I discovered the interior. This space lives with a vitality of its own, breathing and moving in a tangle of decorated ceilings, altars, and walls of golden richness and delicately crafted forms. 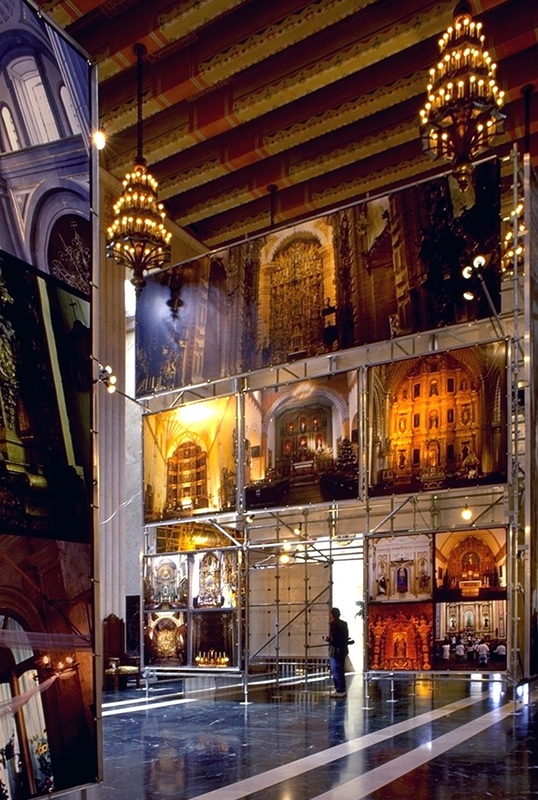 The explosive display of texture, color, and meaning within the church interior is but a portion of that ten year journey. The Snow-capped volcanoes of Popocateptl and Iztaccíhuatl perch outside the churches in Puebla and Tlaxcala, and the clear blue waters of the Gulf of Mexico caress wide beaches of Veracruz and the Yucatan Peninsula, all bear witness to God’s majesty. At the end of winding dirt roads, across rich farmland and sometimes fog covered mountains, nestle pristine villages, each with a unique church in the village center or overlooking the world from a hilltop. With direction and inspiration from my dear friend Dr. Richard Brettell, in 2000 the Institute for the Study of Earth and Man at Southern Methodist University sponsored the historic exhibition of my photography, Sacred Space: Man and the Divine in Mexico, Guatemala and Southwest United States. Rick curated a selection of 300 photographs, many enlarged to thirty feet in length, filling the Hall of State at Fair Park during the State Fair. Thousands of fair-goers, school, and organization tours visited this exhibit during its six week run. Rick and I worked together again in 2005 on Crafting Traditions: The Architecture of Mark Lemmon for the Meadows Museum. 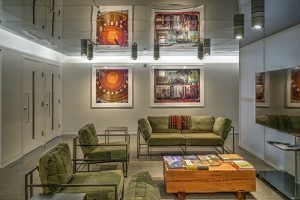 I photographed Lemmon’s contemporary Dallas buildings for the exhibit and catalogue, and Rick curated the large format exhibit, designed by David Gibson. Today I continue to exhibit and produce photographs for books, most recently Dallas: Portrait of a City (2014), Visions of a Southern Cypress Lake co-authored with Thad Sitton TAMU Press (2015), and Architecture that Speaks: The Legacy of SCP Vosper, Texas A&M University 1928-1932 with David Woodcock FAIA and Nancy McCoy FAIA by TAMU Press (2017). 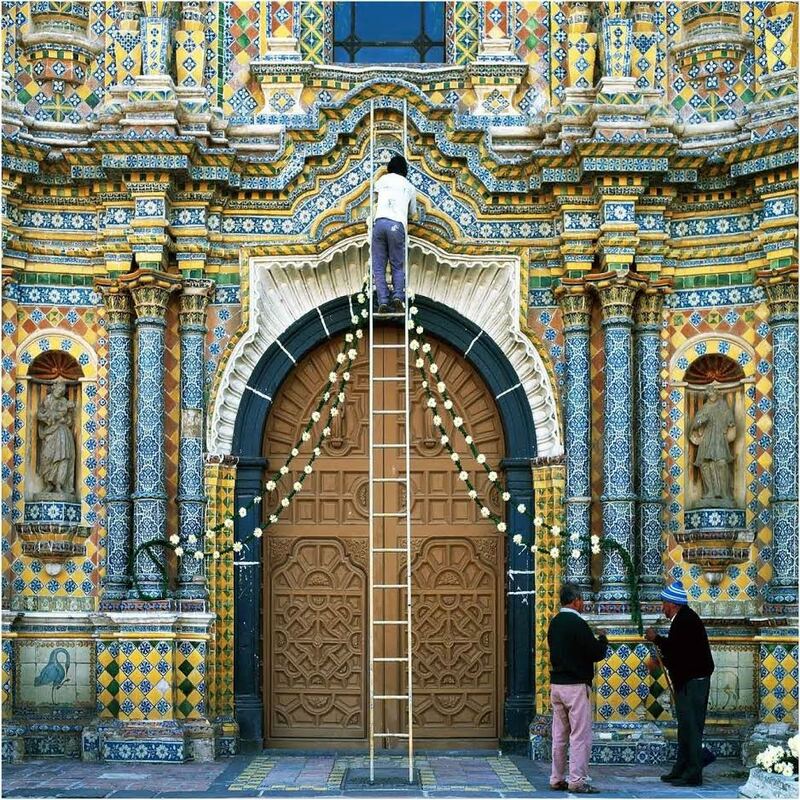 Since 2015, I’ve produced rotating exhibitions of my work at the Edith O’Donnell DMA Research Center, curated by Lauren LaRocca, including The Middle East,The Tiled Churches of Puebla, and Pattern in Islamic Art. I also regularly exhibit at Craighead Green Gallery in Dallas. The beauty of photography is that by looking at a photograph, one can immediately experience long-ago moments. The places and people I photograph will always be remembered exactly as they were that day the image was made. These experiences are an important part of incredible memories and will forever be in my heart—they are an important part of who I am today. 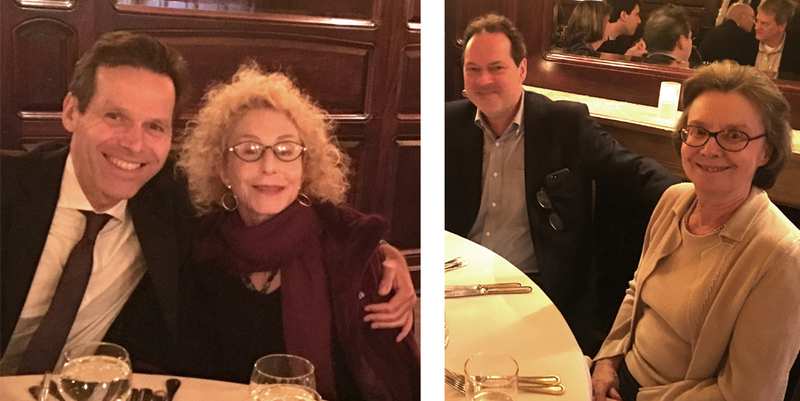 The Edith O’Donnell Institute of Art History is casting its net widely so as to benefit from the best possible partners. 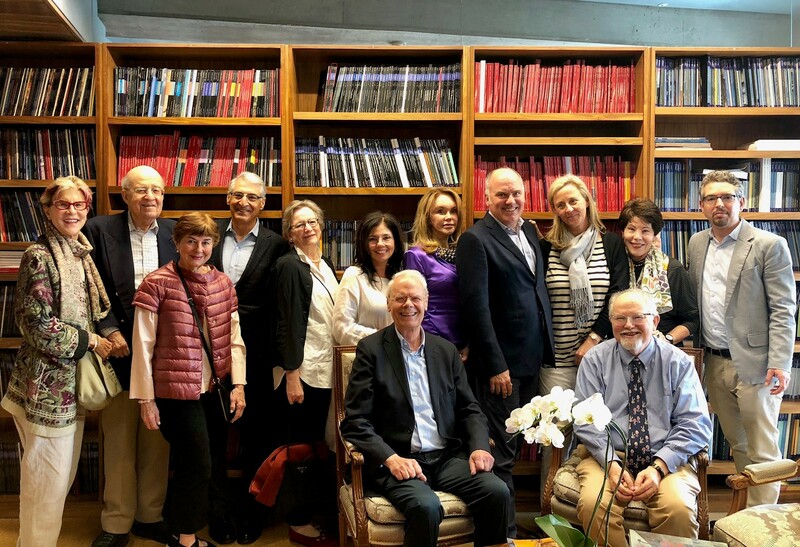 The past month has seen two superb scholarly symposia, one held in Dallas and the other in New York, in which EODIAH has played crucial intellectual and sponsorship roles. Close to home, we worked with our distinguished Visiting Associate Professor, Dr. Melia Belli, to create a partnership with the Islamic Art Revival Series and the Aga Khan Council for the Central United States and our permanent partner, the Dallas Museum of Art. The result was entitled INTERSECTIONS: THE VISUAL CULTURE OF ISLAMIC COSMOPOLTIANISM. Held over two days on May 4 and 5, the symposium brought scholars from the US, Canada, and Europe to Dallas, forming intellectual and social bonds over lectures, discussions, meals, and bus rides in the Margaret McDermott Suite at UTD’s McDermott Library as well as the Dallas Museum of Art (details included below). 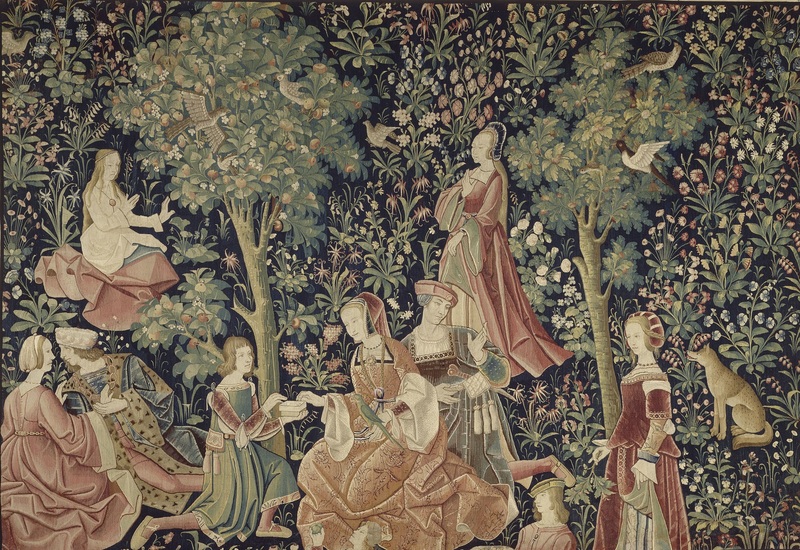 The idea of the symposium results from the latest methodological shifts in inter-cultural studies by stressing the interactions among artists, patrons, and institutions from the Medieval world to the present. The aim of the symposium was to demonstrate the many ways in which “Islamic” art maintained active relationships with other cultural and religious traditions throughout the millennium and a half of Islamic cultural traditions. With powerful short papers, discussion sections, and longer keynote address by world-renowned scholars, the symposium was a resounding proof of EODIAH’s local partnerships and international ambitions. The second symposium was held in New York at the Frick Collection under the partnership of EODIAH and the Frick’s distinguished Center for the History of Collecting. The topic was the early collecting of Impressionist paintings, and the keynote speaker was our own Rick Brettell, who, with the close collaboration of the Frick’s wonderful Inge Reist and her staff, presided over a group of scholars from England, France, Germany, and the United States to discuss the early collectors of Impressionism in the United States, Europe, and Japan. Held in the Frick’s beautiful oval auditorium, the scholars spoke to a full house, and we were lucky enough that UTD’s Provost, Dr. Inga Musselman, was able to attend the second of two days, May 11 and 12. 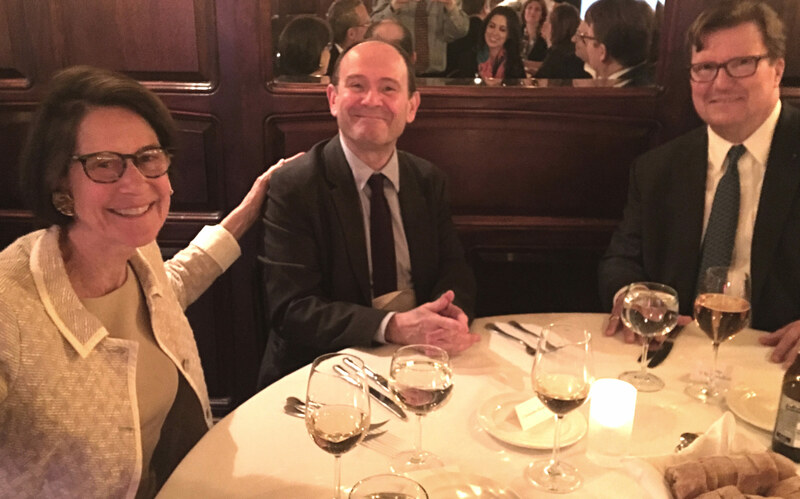 We were even luckier that our friends at Christie’s made possible a very collegial dinner at the Restaurant d’Orsay and that Northern Trust, with offices in Dallas, Chicago, and New York helped us with the costs. Both symposia were so bristling with intellectual energy and new research that it is likely that one if not both of them will result in books. 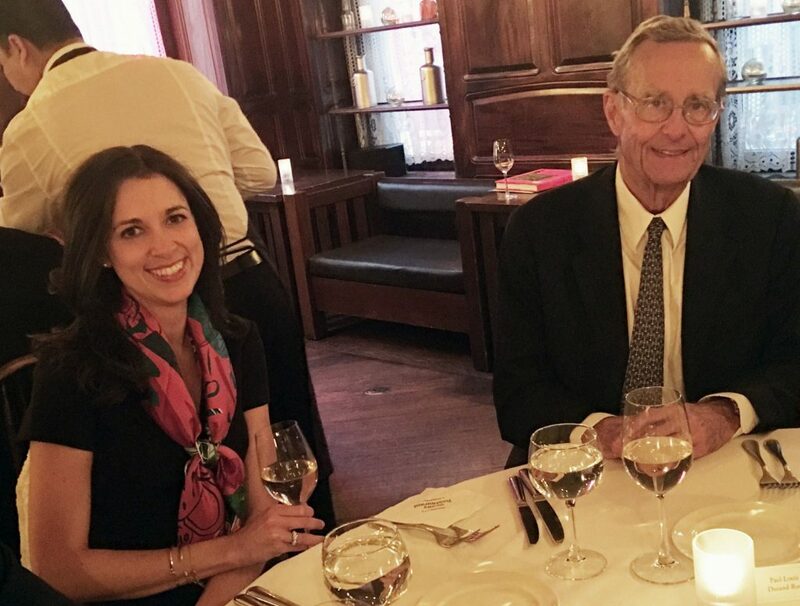 L: Lionel Pissarro and Andrea Nasher at dinner at the Frick Collection. R: Joachim Pissarro and Anne Distel, Musée d’Orsay. 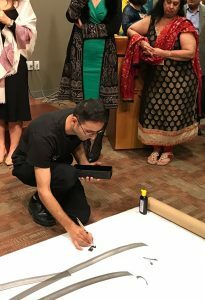 A collaboration between the Edith O’Donnell Institute of Art History, Islamic Art Revival Series and Aga Khan Council for the Central United States in partnership with the Dallas Museum of Art, a monumental Islamic Art Symposium Intersections: Visual Cultures of Islamic Cosmopolitanism was held Friday, May 4 – Saturday, May 5, 2018. Intersections: the Visual Cultures of Islamic Cosmopolitanism was an innovative Islamic Art Symposium in Texas; the first major academic symposium to investigate art of various media (architecture, painting, textiles, calligraphy, photography and music) born of contact between Islamic and non-Islamic societies. Papers and presentations addressed artworks from a wide temporal (eighth century to present) as well as geographic (North Africa, Europe, Middle East, Central and South Asia) scope. The first session was held at the UT Dallas Edith O’Donnell Arts and Technology Building. Opening remarks were given by Dr. Richard Brettell, Symposium Co-Chairs Dr. Melia Belli and Samina Hooda, and Dr. Amyn Sajoo. Panels included Islam, Art and the Medieval World and Early Modern Conversations with panelists Marcus Milwright, Cathleen Fleck, Alia Sandouby, William Toronzo and Alicia Walker, Jennifer Pruitt, Manuela Ceballos, Heghnar Waterpaugh, Mika Natif, Saleema Waraich, and Chanchal Dhadlani, and Vivek Gupta. The Keynote Address was given by Dr. Jonathan Bloom on “Fatimid Objects in European Churches”. 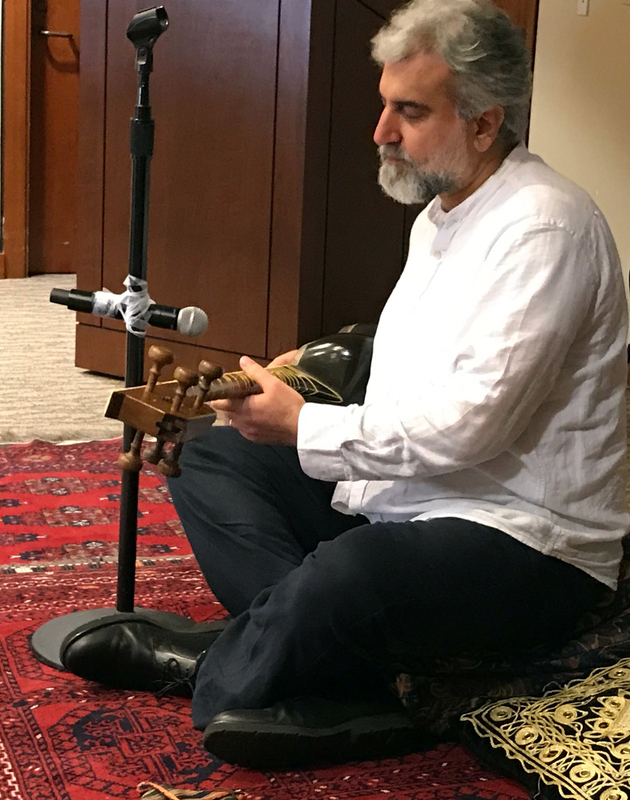 The day concluded with a musical performance by Bahman Panahi on “Musicalligraphy: the relationship between calligraphy and music” on the tar/sitar. Sessions at the DMA featured keynote speaker artist Shahzia Sikander discussing her multicultural past and our future. Sikander has received many prestigious awards, including the Asian Society Award for Significant Contributions to Contemporary Art and the Inaugural Medal of Art from the US Department of State (AIE), Washington, DC. 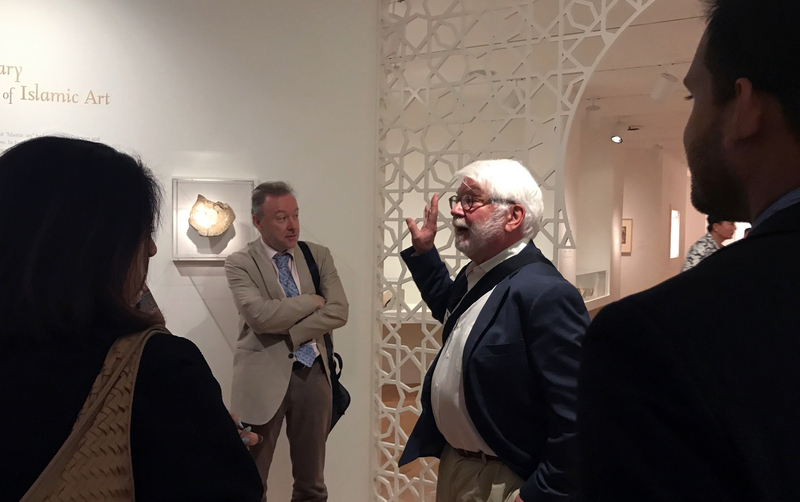 A scholarly panel on Modern and Contemporary Islamic Art and a presentation by Jason Moriyama, a Senior Partner with Moriyama and Teshima Architects in Canada were followed by a special tour of the DMA’s Keir Collection of Islamic Art. Other presenters included Jenifer Pruitt, Michelle Craig, Nada Shabout, and Vivek Gupta. The Islamic Art Revival Series, the Dallas Museum of Art, and the Crow Collection of Asian Art presented events at the DMA on the Thursday prior to the Symposium including a lecture and calligraphy workshop with Bahman Panahi, Islamic Art Presentations, and a Code of Ethics Workshop with Dr. Azra Aksamija. Download the full Symposium program here. 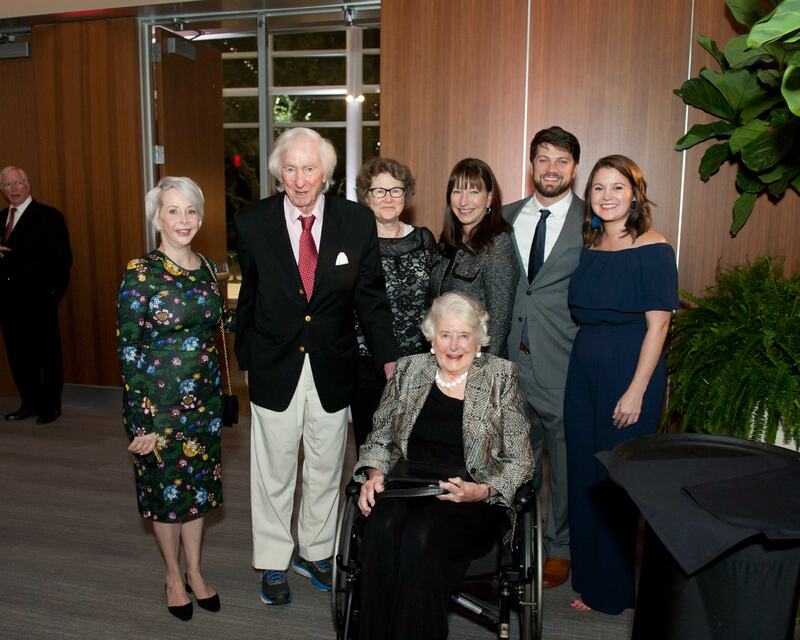 The Edith O’Donnell Institute of Art History at the University of Texas at Dallas celebrated its fourth academic year by honoring Edith O’Donnell, its inspirational founder, at a special dinner on Wednesday, November 29, 2017 in the Ann and Jack Graves Ballroom of the Davidson-Gundy Alumni Center located at UT Dallas. 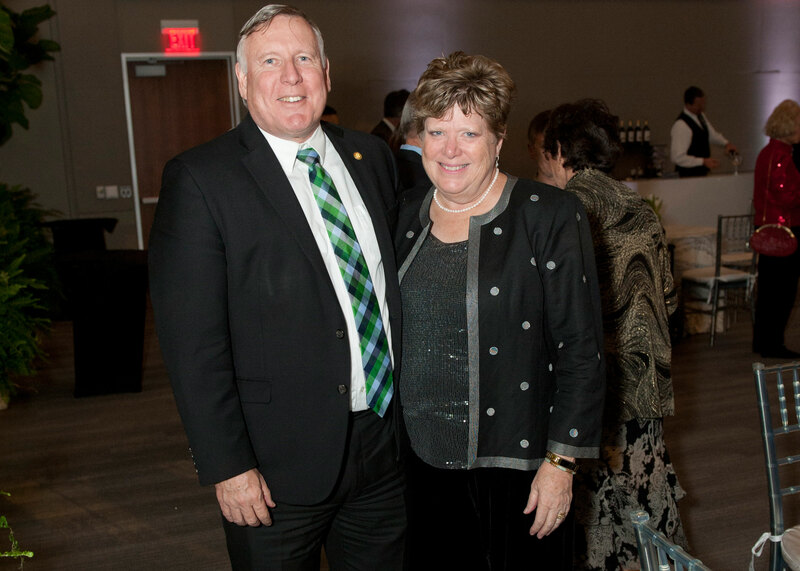 The evening was hosted by Dr. Richard C. Benson, President of the University, and the Founding Director of the Institute, Dr. Richard R. Brettell. 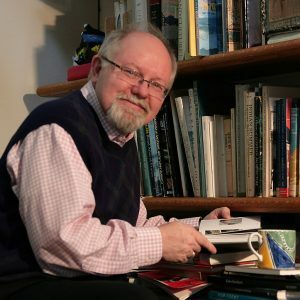 Following a film tribute to Mrs. O’Donnell for her generosity and commitment to the arts, Dr. Brettell announced that major gifts have been received to begin plans to build the W. Ray Wallace Athenaeum which will house a new art library and major art collection that have been promised to the University. In addition, he shared that the new headquarters of the O’Donnell Institute will be housed in the Wallace Athenaeum, which will be surrounded by gardens designed by Peter Walker, the world-renowned landscape architect behind the landscaping master plan funded by the University’s most important donor, Margaret McDermott. 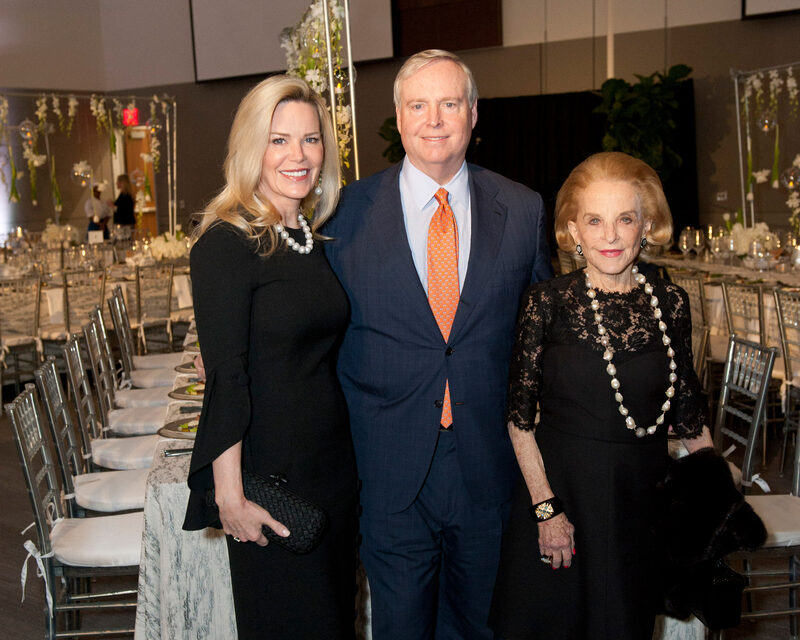 With these gifts received, UT Dallas is poised to create The Wallace Athenaeum at the very center of its campus and to provide a place of inspiration and intellectual exchange in the arts on a campus dedicated to STEAM. 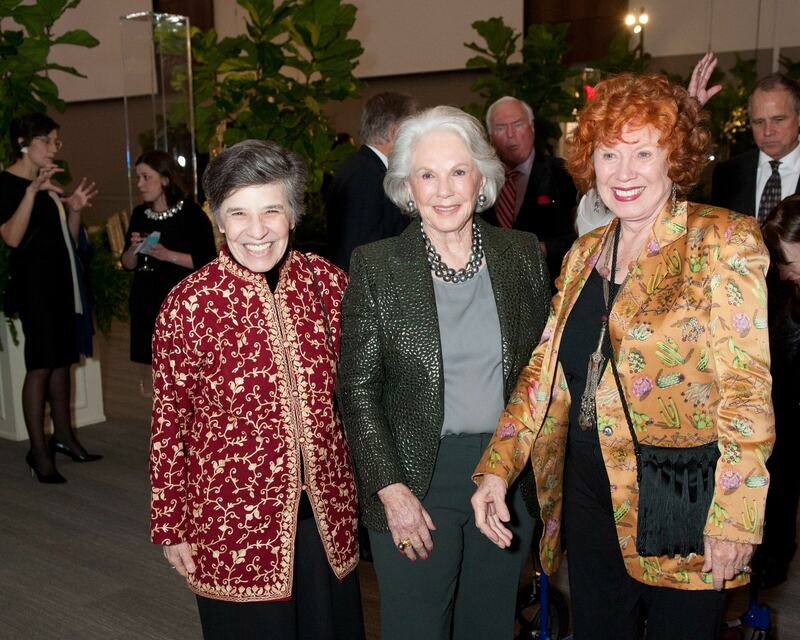 Attendees of the Fourth Annual Dinner included: Edith and Peter O’Donnell; Dr. Richard C. Benson, President, University of Texas at Dallas, and Leslie Benson; Dr. Richard R. Brettell, Founding Director of The Edith O’Donnell Institute of Art History, and Dr. Caroline Brettell; Gay and Bill Solomon; Mr. Richard Barrett; Carol Kradolfer; Ruth O’Donnell Mutch; Mrs. Margaret McDermott; Beatrice Carr Wallace; Caren Prothro; Dr. Hobson Wildenthal; Wendy and Jeremy Strick; Nancy Dedman; Rachael and Bob Dedman; Elizabeth Boeckman; Ann and Gabriel Barbier-Mueller; Roger Horchow; Mary McDermott Cook and Dan Patterson; Dr. Kern Wildenthal and Marnie Wildenthal; Mrs. Nancy Shutt; Mrs. Peter Denker; and Ms. Pat Patterson. EODIAH thanks its many generous friends and supporters. We look forward to working with all of you to achieve our future plans. Stay tuned for more information and ways you may wish to support this ambitious project. To support EODIAH, please click here. 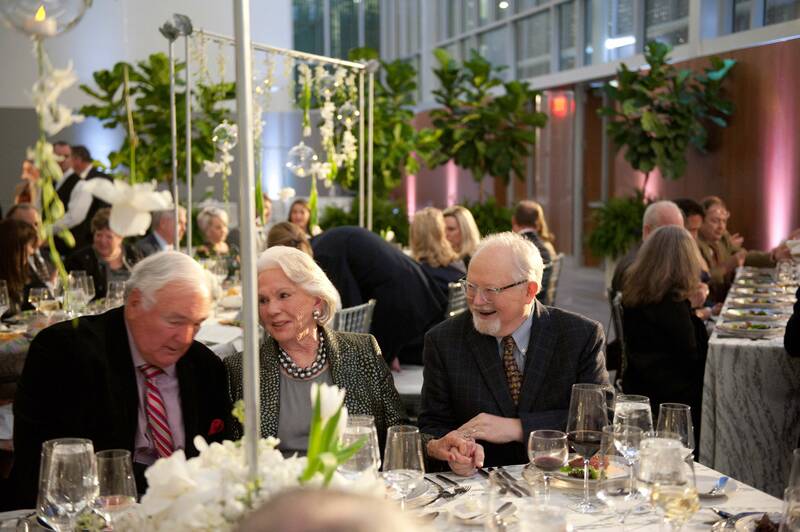 Your gift at any level helps fund our many collaborations, scholarly seminars, lectures and art history programs that provide an unparalleled resource to our community and beyond. For more information, call Lucy Buchanan at (972) 883-2472 or email at lucy.buchanan@utdallas.edu. No reservations needed, Join us! The last two decades have seen dramatic developments in the cultural fabric of North Texas. In Dallas, the Arts District saw the addition of the Nasher Sculpture Center, the Wyly Theater, the Winspear Opera House, the Moody (formerly City) Performance Hall, and the completion of the Booker T. Washington campus. Fort Worth has added the Modern Art Museum and the Piano Pavilion at the Kimbell among its new signature buildings. 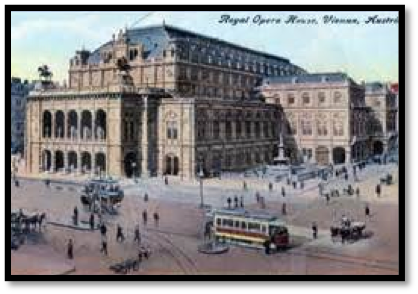 Much has happened besides the completion of these signature buildings. Galleries, artist labs, new musical and theatrical organizations have also come into existence or increased their reach across North Texas. 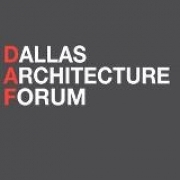 Academic centers such as UT Dallas and non-profits such as The Dallas Architecture Forum have expanded their cultural reach and raised awareness and dialogue on issues important to all of us. In addition to the Arts District in Dallas and the Cultural District in Fort Worth, there are emerging centers of creative activity across many North Texas cities. Join us for a lively discussion with Rick Brettell and Mark Lamster as we examine some of these major accomplishments over the last twenty years. Dr. Brettell and Mr. Lamster will also discuss what needs to occur over the next two decades to enhance the arts and cultural opportunities for all North Texas residents. 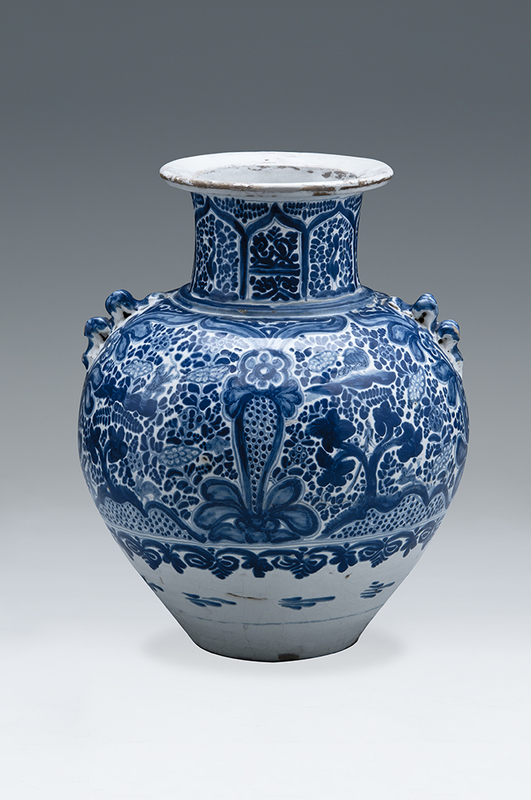 To launch the new year, on Saturday, January 13 the O’Donnell Institute partnered for the first time with the Crow Collection of Asian Art to present a symposium on the global histories of ceramics. 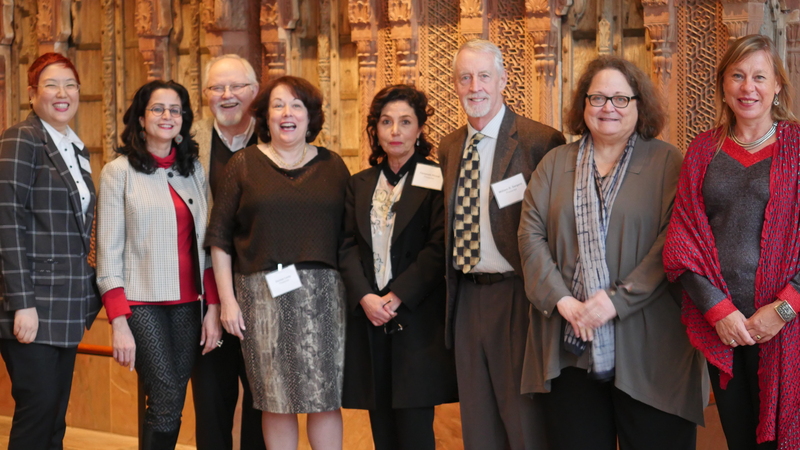 Called Talavera and Ceramic Connections: East Asia, West Asia, and the Americas, the symposium brought together an all-star team of distinguished scholars to study and respond to the Crow’s stunning new exhibition Clay Between Two Seas: From the Abbasid Court to Puebla de los Angeles. The exhibition’s curator Farzaneh Pirouz was joined by Denise Leidy (Curator of Asian Art at Yale University Art Gallery), Guy Thomson (Professor Emeritus of Latin American History at University of Warwick), Jessica Hallet (Researcher in Art History at the Universidade Nova de Lisboa), Ronda Kasl (Curator of Latin American Art at the Metropolitan Museum), and William Sargent (Curator Emeritus of Asian Export Art at the Peabody Essex Museum) for three morning lectures held at the Dallas Museum of Art and an afternoon of gallery-based break-out sections at the Crow. Like the exhibition itself, presentations and conversations were truly global in scope, ranging from sixth-century China to ninth-century Basra to sixteenth-century Mexico to circa-1900 New York. Our own Sabiha Al Khemir presided over the morning session, and Rick Brettell and Crow curator Jacqueline Chao moderated a closing panel in the afternoon. By all accounts the symposium was a great success, and it’s precisely the kind of program that we are passionate about presenting: collaborative, object-led conversations with broad art historical implications. At the same time that speakers treated specific art historical questions like the origins of the use of cobalt blue in ceramics, the day raised larger questions with broad art historical significance: How is a complex technology transferred across space, time, and culture? How do objects made in one medium like clay dialogue with other mediums like glass and silver? How do local industries like that of Talavera in Puebla intersect with histories of class, race, and national politics? And how do our art histories of porcelain, for example, shape our practices of collecting—and vice versa? These and other questions that emerged from conversations and close looking will chart the course for future research. If you were among the many friends and colleagues who joined us on Saturday, thank you for coming! 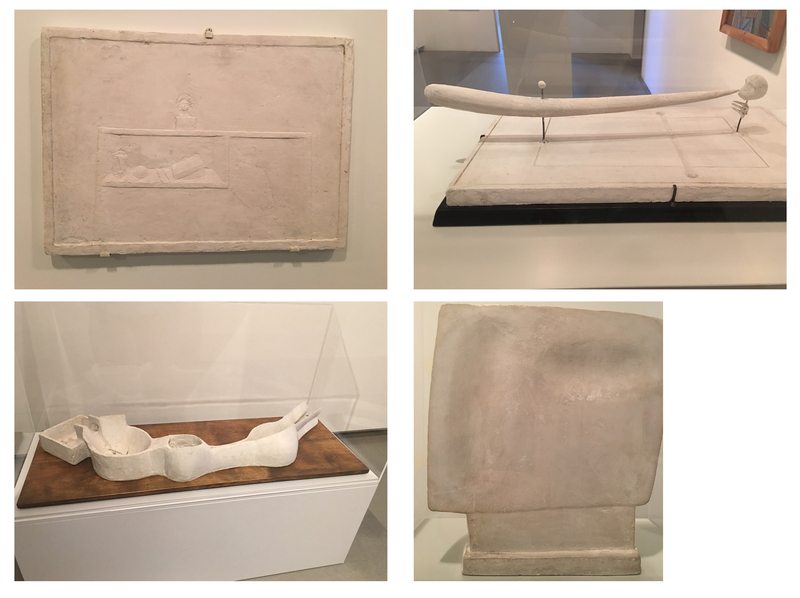 If you were not able to attend, there is still time to see the exhibition before it closes in Dallas on February 12 and travels to Puebla, Mexico. It’s not to be missed! The fall semester of 2016 has been almost volcanic with activity at the Edith O’Donnell Institute of Art History. 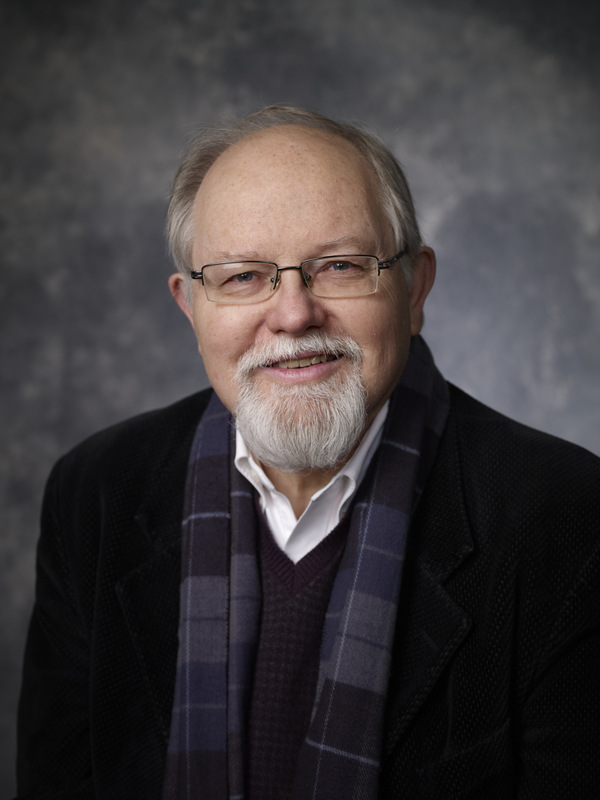 We have welcomed a new visiting scholar from the University of Victoria, Professor Allan Antliff, who is in Dallas for the 2016-2017 academic year to work on a new book dealing with contemporary art and anarchist philosophy. 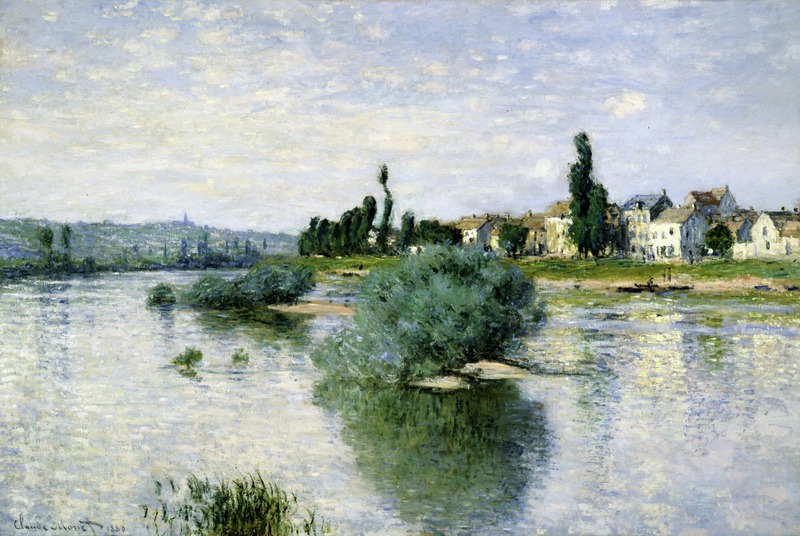 Allan and I became friends through our mutual study of Camille Pissarro, whose anarchism is well known, and my students and I have learned a great deal from his imaginative and morally bracing kind of art history. His presence at UT Dallas will result not only in a major book but also in a long-term collaboration with the superb art history faculty at the University of Victoria, a collaboration which will be enriched by the presence on campus of Dr. Melia Belli-Bose of the University of Victoria in the spring term of 2017. Most recently we co-organized with the Ackerman Center a symposium on the School of London, the post-WWII painters of Britain that included Freud, Bacon, Kossoff, Auerbach, Andrews, and Kitaj. The symposium coincided with a major exhibition of the group at the Getty. We have also planned a symposium with our colleagues at the Crow Collection of Asian Art devoted to the global ceramics trade centered in seventeenth- and eighteenth-century Puebla, Mexico. The markets of Puebla linked the Islamic ceramic tradition via Spain with the Chinese tradition via the Mexican-ruled Phillipines and the Manila galleons. 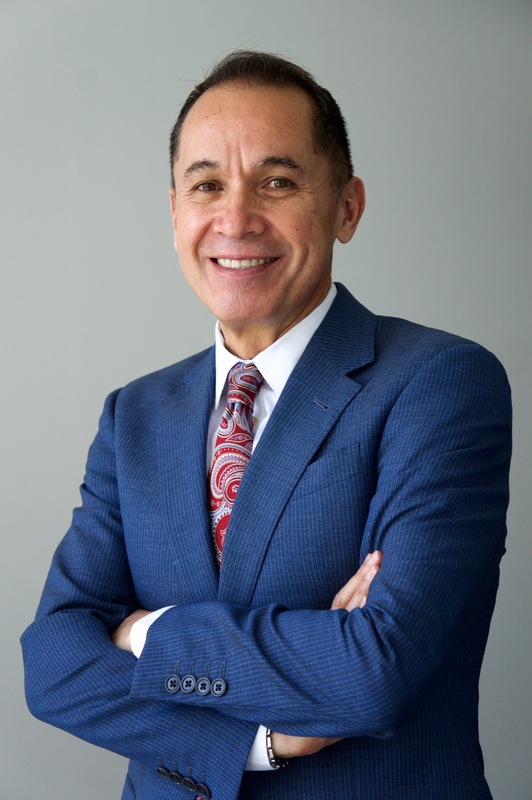 Our goal of making our DMA headquarters a “Living Room” for art historians in Dallas-Fort Worth continues to advance, and later this month we will welcome as many of our metroplex colleagues as possible to meet the DMA’s new director, Agustín Arteaga. Our schedule of workshops masterminded by Lauren LaRocca continues apace, involving O’Donnell Institute scholars and fellows as well as distinguished guests. 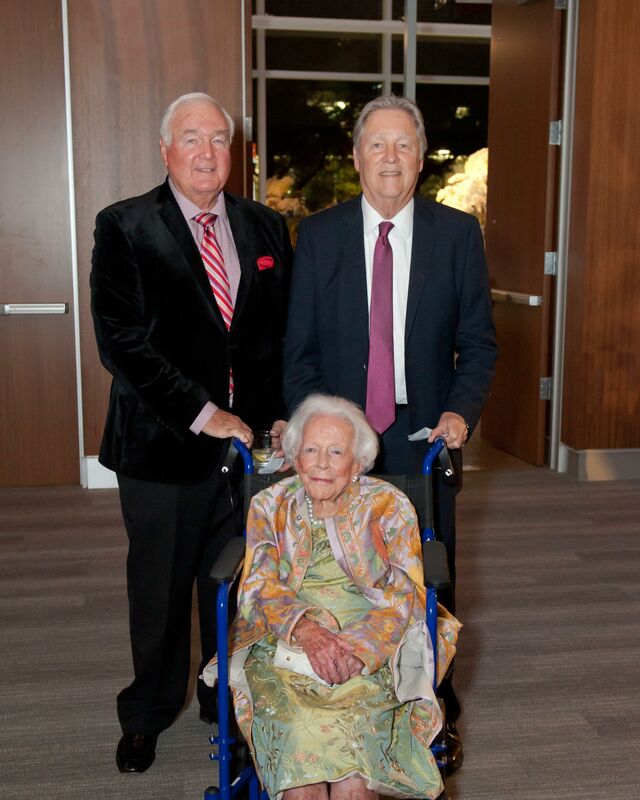 This fall, we have also had a good many distinguished visitors to the Institute’s UT Dallas home, including Mr. and Mrs. O’Donnell, UT Dallas’s new President, Dr. Richard Benson, and the French Ambassador, Gérard Araud. For me, the semester is filled with preparations for the lectures in what might well be the largest course in UT Dallas’s history, Introduction to the Visual Arts, taught to an eager group of almost 350 undergraduates in the lecture hall of the Edith O’Donnell Arts and Technology building. Using works of art in Dallas-Fort Worth museums as portals onto other places and other times, I endeavor to excite UT Dallas’s supremely intelligent undergraduates, the vast majority of whom major in sciences, technology, management, or social sciences, to pause and think about human history and its artistic and architectural heritage. 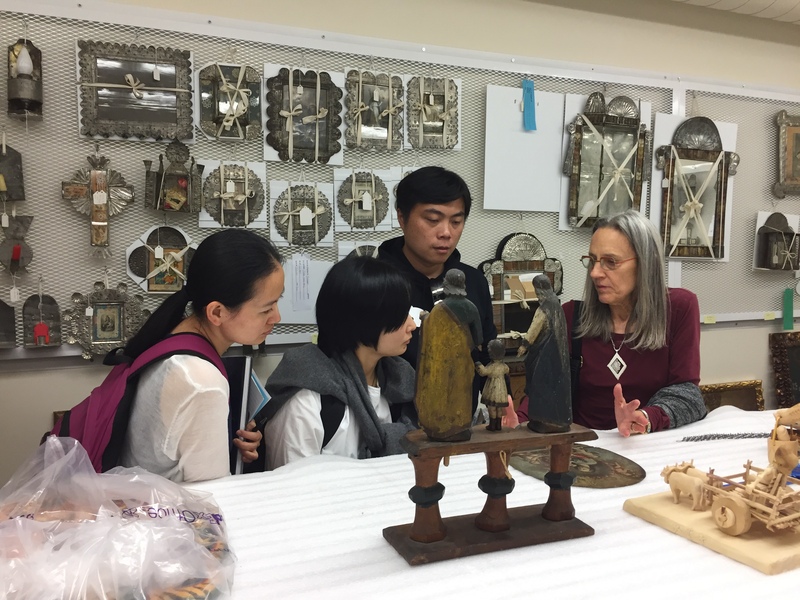 We have also progressed this term in our partnerships with the Wildenstein Institute in Paris, the Capodimonte Museum in Naples, the Swiss Institute of Art History in Zurich, the University of Victoria, and, soon, a new Institute for the Study of American Art at the University of Nanjing in China. Not bad for a little more than two years.